More importantly, what shape is the bubble? @bryanlunduke Hope this answers that. Mainly agree with the bubble thing. But re: whatsapp, unlike the other trendy messaging app it has taken over as the default messaging app in many third world countries. Almost all the people I know use SMS to talk to maybe one person (usually mom or the bank). The rest is whatsapp - I suspect it will stick around. While I understand it’s currently the default messaging app in many parts of the world, I’m curious why you suspect it will remain that for the long term. Messaging apps have historically had very little loyalty over time. Everyone I knew used ICQ, right up until no one used it. I get that WeChat pivoted from messaging to a sort of portal app where you can call a cab or buy movie tickets but it remains to be seen if that’s something people actually want. Getting an appropriate return on a $19 billion dollar investment given the relative risk taken seems unlikely to me. Isn’t this the case for literally every tech thing? I can’t think of anything that’s a product and everybody is still using after, say, twenty years. (Concepts: TCP, UNIX, the web, sure.) I’m counting new versions as a product change here; people have been using Windows and Photoshop and AutoCAD for that long, but I’m not sure that Windows 10 and Windows 3.11 are meaningfully the same product; there is a Trigger’s broom problem here. Kind of? To clarify my point: even in the context of tech, the messaging category has shown remarkably little stickiness. People have remained loyal to “Windows” (even if 3.11 and 10 are different from a code perspective), or have continued using Photoshop over a long duration of time. There is a very real cost associated with switching from some apps/ecosystems to others. Because messaging apps tend to be simple and have well defined scope, switching is easy and once a few early adopters move the rate at which an app can be completely left behind is unlike many other categories. It’s also notoriously difficult to generate revenue with messaging apps (especially consumer facing ones) which compounds the issue here. I think WhatsApp’s business model is that you get year 0 for free then after that they ask for payment to use their service for the next year and so on. So they are asking for money, the question is are they making any real money from it? What do you think about Facebook? Do you believe people will drift away from their service the same way people moved away from AIM? Or do you think that Facebook has ingrained itself into society too deply, I guess that is what all the other tech startups etc are tying to do. I can’t think of anything that’s a product and everybody is still using after, say, twenty years. Most games I play are over 15 to 20 years old. Right now I’m using CDE as my desktop (23 years old). I have Win 3.11 (seriously… 22 years old) and Photoshop from around that time running in an emulator on my tablet. GRRM uses Wordstar to write GoT for pete’s sake. So tech? Tech stays around. I think Jeremy’s right. Messaging services die. Rapidly. My boss has one and loves it. They are made about 20 miles from where I work. They stopped charging completely earlier this year. 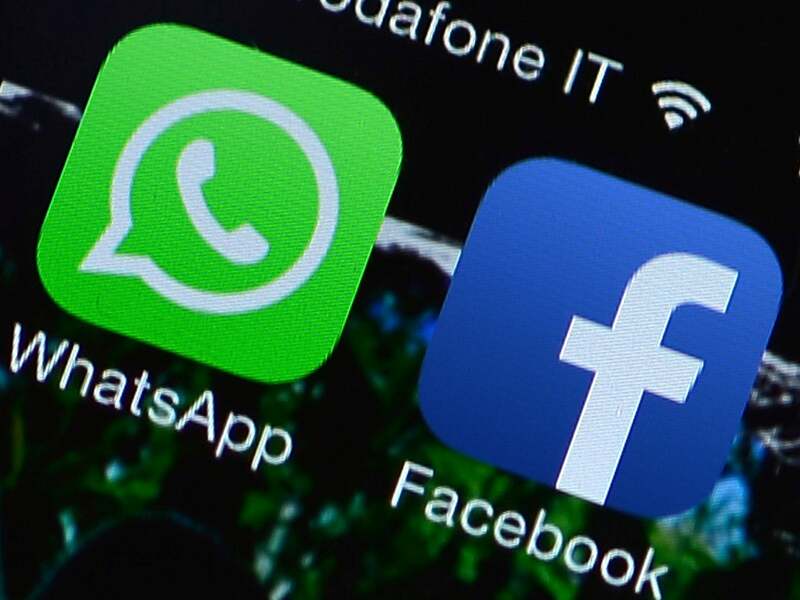 Jan Koum, WhatsApp’s co-founder, said that the subscription fee “really doesn’t work that well”. Also mentioned is that they “will instead look to make money by letting companies talk to people in messages”, although I’m not sure what the exact plan is there. I think user engagement and growth are already slowing. And while Facebook is stickier than AIM, there is a reason they bought Instagram and WhatsApp, among others. Maybe there’s a point at which things become so ingrained that they pass some mystical line and become immortal (relative to other tech). Search engines shifted around until Google, whose name is now used as a verb meaning ‘to search’ - and when you say ‘search’ people assume Google. At least where I live, whatsapp is like that - synonymous with messaging. So I do think they will be around for a few years yet, even if it’s only in a few countries. But, is it worth 19 billion? Not a chance. Their business model seemed to be the same as other tech companies - look cool, get some users and hope someone big looks their way and throws money at them, which is exactly what happened no idea how Facebook will scrape some money back. no idea how Facebook will scrape some money back. Well… Facebook want to do exactly what you’re describing, which is to graduate from “one product among others” to “a standard part of the infrastructure”. Once they’re in that position, they can make a ton of money at it with other Facebook features. So purchasing WhatsApp isn’t necessarily in itself going to make money; it’s ensuring that Facebook remain dominant, and then their other stuff makes money. Google are most famous for having their name mean “to search”, but providing the search doesn’t in itself earn anything; it just gives them another place to show ads. I think Jeremy’s right. Messaging services die. Rapidly. Have you tryed quitter.se ? Blinkin’ sedate. That very much depends on the product. A lot of people like vintage cars or musical instruments. I have a 1903 Gibson mandolin and a 1968 Fender Stratocaster for example. I would think that most guitarists that have been playing for more than 30 years have at least one instrument that is 20 or more years old. But you are probably correct when talking about software. @bryanlunduke may be using some ancient stuff but he is hardly typical.